I would like to purchase a new development laptop for my work on elementary OS. All work on elementary OS is done by people remotely, often from our homes or coffee shops. We rely on this hardware for the actual designing, coding, reviewing, and testing of everything that goes into elementary OS. We also rely on this hardware for some amount of hardware compatibility testing and to develop against the cutting edge of consumer hardware, like HiDPI displays, fingerprint readers, USB Type-C charging and peripherals, etc. My main machine for the past few years was graciously provided by my previous employer, so unfortunately I no longer have access to a modern portable HiDPI laptop for design, development, and testing. My current personal laptop is a five-year-old machine that, while relatively powerful, lacks each of those features I would like to test against and develop for. It also happens to lack a functional battery after around an hour, making coffee shop coding or using it at conferences a no-go, and unfortunately the manufacturer no longer provides replacement batteries. • HiDPI support: Very few members of the team have HiDPI hardware, but it's something we actively try to support and ensure the best experience for. Having HiDPI hardware—not only on hand, but as my daily driver—will help ensure elementary OS design and development is always done on and for HiDPI displays. • Mixed DPI: An area that needs a lot of work is mixed DPI, where there's a HiDPI display (like a laptop) and loDPI display (like an external monitor, TV, or projector). With a lack of HiDPI hardware, this is something that's nearly impossible to design, develop, and test. If we're going to tout the HiDPI experience of elementary OS, we must do the work here. I've done a fair amount of work in this space while at System76, but it requires HiDPI hardware on-hand. • Touch: While elementary OS is built on touch-friendly technologies like Gtk, there are always ways to improve the experience on a touch-enabled display. With a touch-enabled laptop, I can more readily design for, develop against, and test touch. This will be critical if elementary OS is going to be a great experience on the increasingly-common two-in-one convertible laptop/tablet devices. • Fingerprint Login/Unlock: A much-requested feature for elementary OS is fingerprint login and unlock. As long as I'm getting a new computer, I want to include this (it's only a few dollars to add on when ordering). This should help me design and test fingerprint authentication in the greeter, configuration in System Settings, and eventually work on Initial Setup. • USB-C & Thunderbolt: GNOME recently added a lot of plumbing for Thunderbolt, but it's not something exposed in elementary OS. With a USB Type-C and Thunderbolt-enabled computer, I can help design, develop, and test the Thunderbolt experience with regards to system settings, security, user approval, charging, etc. • Attending Conferences, Meetups, and Hackfests: This summer I was grateful to be able to attend GUADEC , and in September I'm attending the Libre Application Summit . I also host the Denver Open Source Remoters club . These sorts of conferences, meetups, and hackfests are extremely valuable to the productivity, organization, and cross-pollination of elementary OS. However, they're really difficult to do without a long-lasting battery, and with my current hardware I end up just leaving it at home or being tethered to an outlet when I want to do anything. I have picked out the Dell Precision 5530 as my top choice. It's essentially the XPS 15 body (thin, light, and tiny bezels) with an H-class processor and an option for HiDPI without NVIDIA graphics (for better battery life and to avoid driver issues). It also has a touch display and a fingerprint scanner add-on. The killer feature, however, is the 97-Wh battery, which should be leaps and bounds above anything I've ever used and enable me to actually use the computer remotely all day at a conference, hackfest, or coffee shop. There is currently a 30% off promo going on, which makes this even more affordable for the high-end hardware. 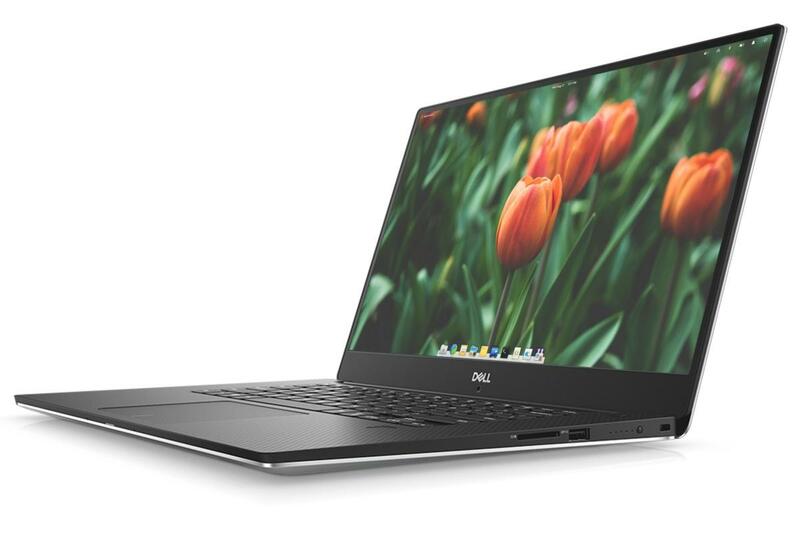 Dell also recently certified it for Ubuntu, meaning there should be very few driver or compatibility issues. I really want to make sure I'm using the funds you contribute responsibly, so I've done a ton of research and compared models, and this model gives me the best balance of performance, hardware test surface, and compatibility so I can spend time fixing things you care about instead of making my computer work. Thank you all so much for your continued support, and of course your generous contributions that enable us to do all the awesome things we do at elementary. I'm confident that with your help, I can supercharge my work and contributions to elementary and continue to make it the best alternative to Windows and macOS. Nearly 90% there! You are all incredible for supporting me. I have gone ahead and purchased the laptop to ensure I got a promotional price through Dell (covering the remaining amount for now), but still hope to be able to recoup the costs. I still plan to record, edit, and upload an unboxing video once we hit the goal! Remember, even if you've already donated or can't donate now, sharing on social media is a HUGE help! Thanks again! We just hit over 75% of the way to the goal. Thank you all so much for your incredible support! I have been pretty quiet about this lately due to the Juno release (if you somehow missed it, check elementary.io!). I really want to get over this last little hump so I can cover the cost of the laptop. And remember, once we hit the goal, I'll record and share an unboxing/first impressions video to thank you and let you all know about the machine. Your continued support means the world to me, and remember, sharing on social media is a HUGE help! We're over halfway there! You all are so awesome, and have supported me above and beyond what I could have asked for. I only ask now that you consider sharing this campaign with your friends and followers to help us reach the goal! Thank you all again. You are why elementary OS is able to be so awesome. Hey all! Thank you so much for your time and generous donations! This has been a great start to covering the cost of a new laptop to super charge my elementary OS contributions. I've added a section about touch to the story, as someone privately pointed out that elementary OS on touch screens can always use more focus and thought. Like many hardware-specific areas, it's been limited primarily by access to hardware, so a new touch-enabled laptop will absolutely help with that. Thanks again for your continued sharing and support! Please be sure to share this out to your social networks, friends, and followers to help me hit my goal. Until next time!